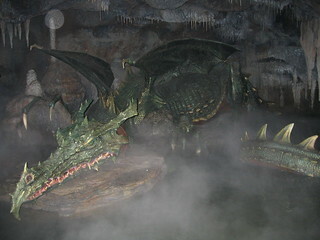 One of Jennifer’s favorite dragons, under Sleeping Beauty Castle at Disneyland Paris. Photo by Miracle Marc, some rights reserved. This week’s show is practically like a news round-up, if we were a news show! We talk about the trying-to-go-viral marketing for Believe In Fantasy, and the new Mickey Check system for indicating which kids’ meals are healthier choices. This entry was posted in Uncategorized and tagged BelieveInFantasy, dragons, food, Mickey Check, Walt Disney World by Jennifer. Bookmark the permalink.